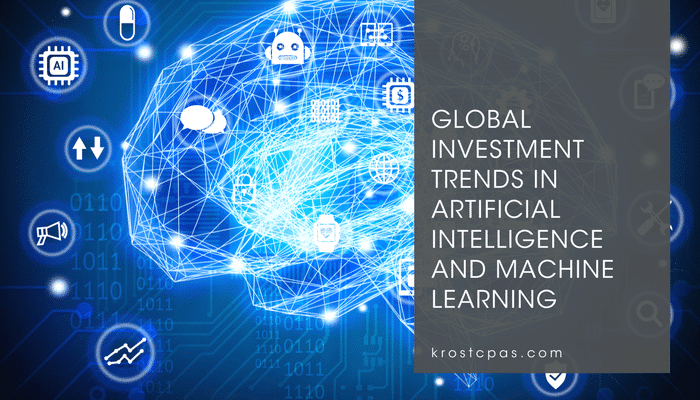 Before diving into global investment trends in Artificial Intelligence (“AI”) and Machine Learning (“ML”), it may be worth quickly defining them. To quote John McCarthy, widely recognized as one of the pre-imminent leaders in this space, AI is defined as “The science and engineering of making intelligent machines.” AI systems can perform tasks that normally require human intelligence, such as visual perception, speech recognition, decision-making, and language translation. AI has deeply penetrated virtually every industry from agriculture to adtech, from cybersecurity to manufacturing, from fintech to healthcare. We’re also interacting with AI in our everyday lives from giving voice commands to mobile phones to playing gesture-controlled video games. If the hype around ML is beginning to fade (perhaps overtaken by the hype on cryptocurrencies and blockchain) it may be because it has already become part of virtually every major piece of software, from calendar apps to search engines to sales management software. So, which countries are leading investments in AI and ML and which countries are homes to these investments? Two countries dominate the United States and China. According to CB Insights, even though China accounted for only a 9% share of deals going to AI startups globally, it received 48% of all the money going to AI startups globally in 2017, surpassing the United States for the first time. To put this proportion in perspective, in 2016, China accounted for only 11.3% of global funding in this field. Chinese companies’ R&D efforts are also reflected in their patent activity. AI-related patent publications in China are surging far ahead of patents being published in these spaces by the US Patent and Trademark Office. But what about M&A activity in AI and ML? As both industries are in the early years of development, it is not surprising that there has been a relative dearth of AI/ML deals until the last two years. Most of these exits are through buyouts by large strategic investors with Alphabet, Microsoft, Intel and Apple leading the way. We expect this trend to continue. As technologies go, AI/ML have potential use cases in virtually every industry. It will reshape the way people live and do business. For this reason, AI has been referred to as “the new electricity” by deep learning pioneer Andrew Ng. We do not expect any slowdown in Angel, VC, and Corporate investments and in Private Equity and Corporate buyout activity – perhaps even an emerging trend in IPOs for AI/ML companies, in 2018 and beyond. Paren Knadjian is the practice leader for M&A and Capital Markets for KROST and also leads the firms national Technology Industry specialization.